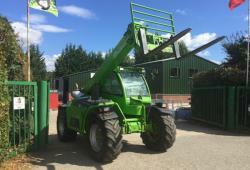 Merlo 40.72012 Merlo 40.7 Telehandler in very good overall condition. Sold and serviced by ourselves from new. Fitted with a pick-up hitch, mechanical seat and radio. The machine will be fully checked and serviced ready to go straight to work. Call us for more details. Price on application. 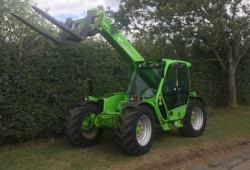 Merlo 32.6 PLUS Telehandler2014 Merlo 32.6 PLUS telehandler in good condition. 101hp, 3.4m reach with a 6.4m height and 3.2-ton lift capacity. Fitted with pick-up hitch, Merlo headstock, mechanical seat, air conditioning, boom suspension and radio. Will be fitted with brand new tyres. Contact us for further details. 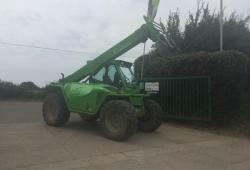 Merlo 32.6 Telehandler2015 32.6 compact telehandler. 2m operating width. 4082 hours. Lifting height of 6.4m with a 3.4m reach and a 3.2 ton lift capacity. 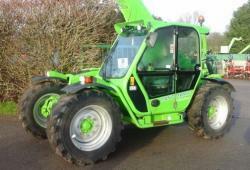 C/w pick-up hitch, Merlo headstock, air conditioning, radio and air seat. 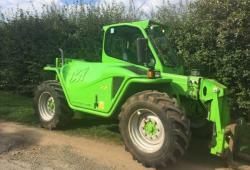 Merlo 42.72016 Merlo 42.7 telehandler with pick-up hitch, boom suspension, trailer braking, air con, Grammer air seat. Road registered and Datatagged. 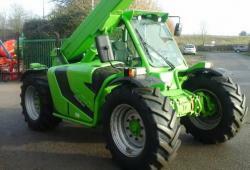 Merlo 32.6 Telehandler101hp. 6.4m height, 3.4m reach and 3.2-ton lift. 2m operating width. Pick-up hitch, radio and mechanical seat. Contact us for further details. 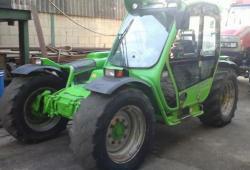 Merlo 32.6 Telehandler101hp. 6.4m height/3.2 ton, 2m operating width. Pick-up hitch, air con, boom suspension, radio, air seat and Datatag. 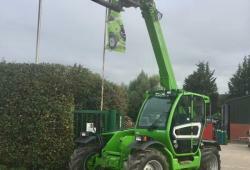 Merlo 32.6Merlo 32.6 Telehandler with 3.4m reach, 6.4m lift height and 3.2 Ton lift capacity. 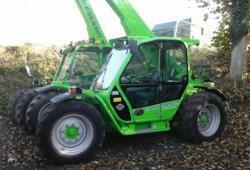 Comes with Pick Up Hitch, Air Con, Radio, Merlo Headstock and Air Seat. In Excellent condition. Please give us a call for more information.